Pola requested this Maori styled design in honour of her recent wedding. The sun is a symbol of eternity and positivity, and the lizard represents good luck and life. 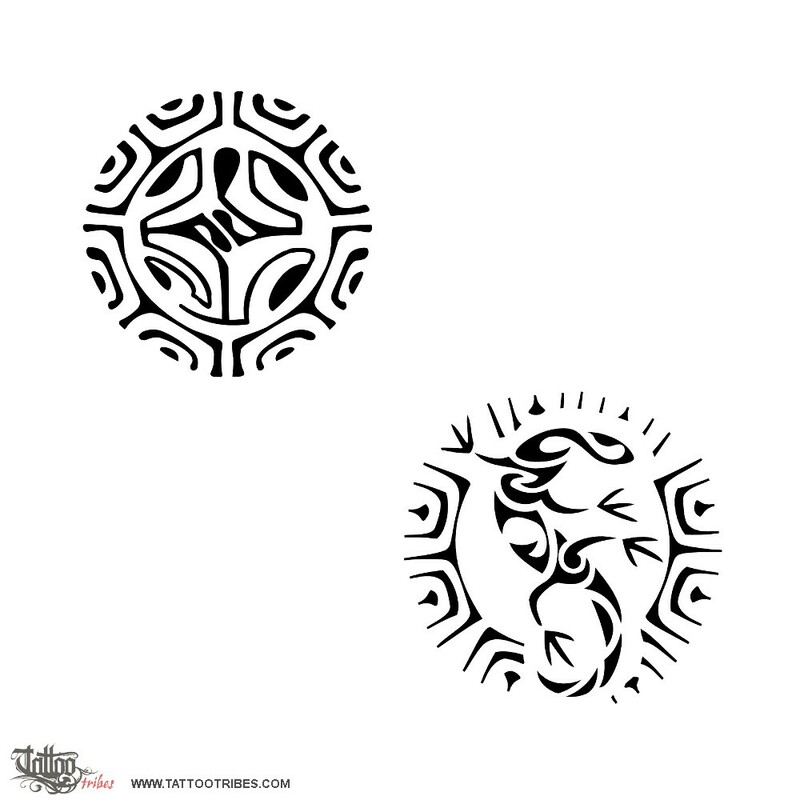 The higher version is more traditional, whereas the lower one is made of several wishing well symbols like the twist (love and eternal bond) and the fish hook, or matau (wealth and abundance). 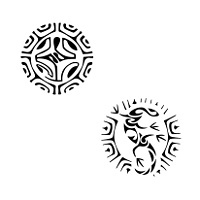 The first version has a stylized S on the lizard´s body, whereas in the second version the S is the lizard itself.